A Pickering businessman is set to take the ride of his life when he joins the race to raise funds for Macmillan Cancer Support. Karl Avison, who owns the Cedarbarn Farm Shop just outside Pickering, has entered Macmillan’s Ride of their Lives horse race which is held on Saturday, June 15. 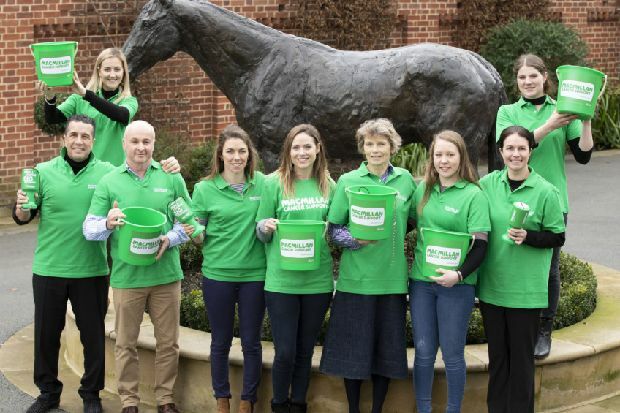 The event offers a chance for 12 amateurs to enjoy the “ride of their lives” as they participate in a nine furlong (1.25 mile) race around the famous Knavesmire, York Racecourse. Mr Avison said: “I have always been interested in horses and racing through my granddad and started breeding thoroughbreds when I was 17, I would have loved to have been a jockey but work got in the way. So … I turned 55 hit mid-life crisis and having been told about the race, thought, if I don’t do it now I never will. “I knew I would have to be incredibly fit so I have spent the last year training in fact; it has become more of an obsession, circuit training, running, jockey training at Jack Berry House and I am now riding out five mornings a week at Brian Ellison’s yard before work.